Before starting the demonstration activities, the students of Shree H. V. P. Mandal Salutes the chief guest & audience doing march pass. The demonstration will start with our National Song "Vande Mataram", sung by our students in group. New action song will be perform by the Mandal students. 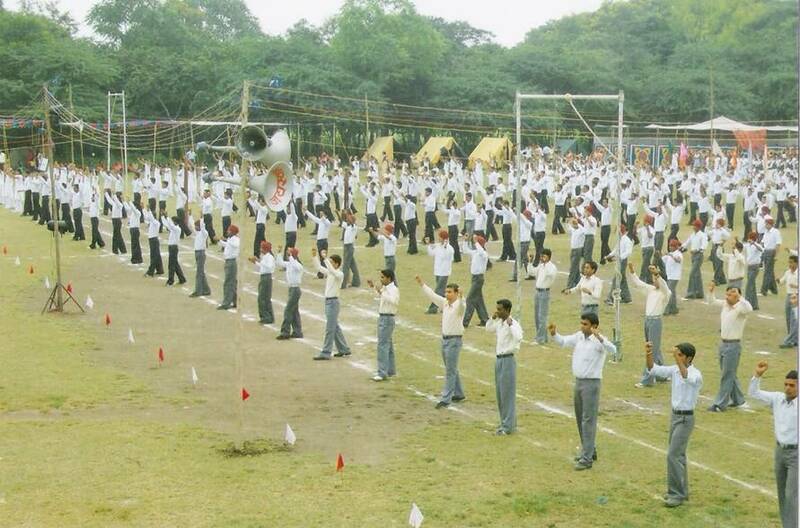 The blending of action with the patriotic song brings the spirit, enthusiasm & motivation. 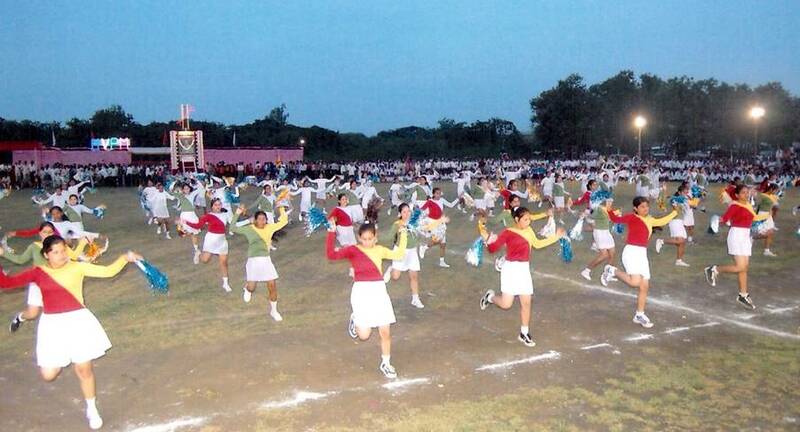 This sport activity is famous in School's Physical Education of Maharashtra State. It can be considered as a pioneer activity which made a base for modern aerobics. They are identical to each other. 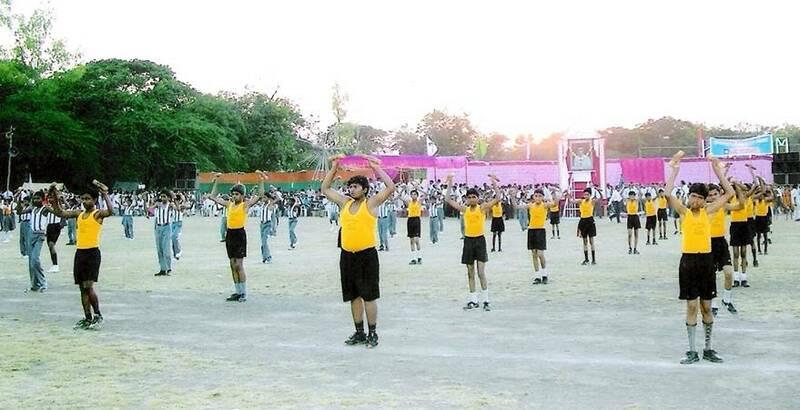 This activity is being presented before you by Mandal's Sport School, Ashram School, & other students. It is an ancient weapon used for hunting purpose. It is an excellent way of individual exercise. It requires qualities like agility, quick reaction, softness & body control. Vita is smaller than Bhala. It has sharp plate at its front side & a rope is attached on its grip. Using the rope the Vita can be throne in front for hunting & can be pulled back towards oneself. 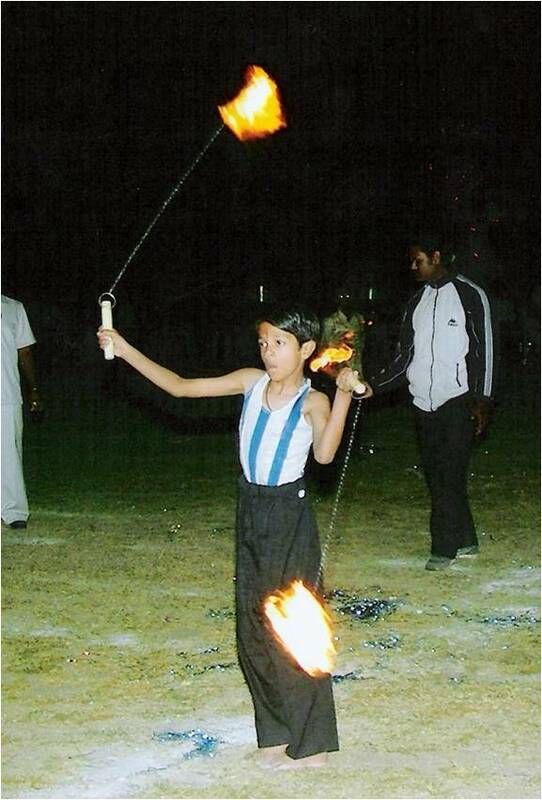 Malkhamb is amongst one of special sports activity of Mandal. 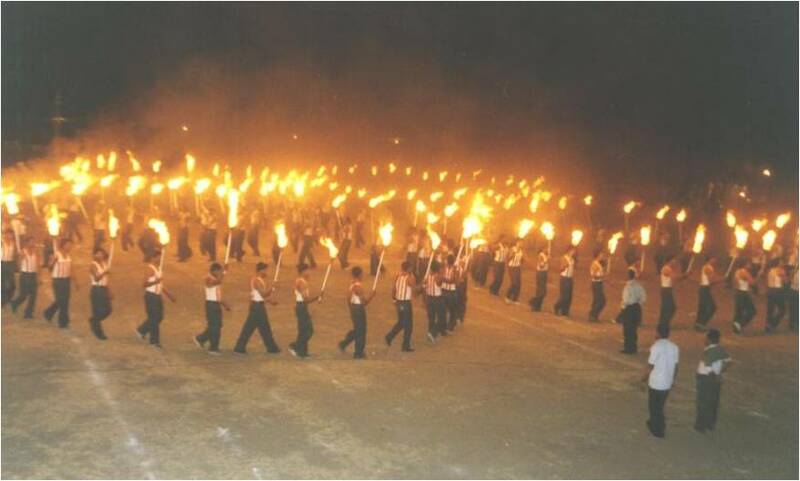 It is an old sport activity which is still kept alive by Mandal. In today's modern time Malkhamb is considered as a Gymnastic. Malkhamb can be perform using a fix or hanging Wooden pole, rope & cane. It can also be performed on glasses kept in between the wooden base using a pole. Several poses of Yoga are performed. It requires strength, ability, balance, coordination & courage. Players shows their art / skill using various props, Sword, torch etc. The Mandal's Youth presented their Malkhamb skill in Britain Olympics, Munich Olympics & many other International sports festival & events. Students have received medals at State & National level competition. 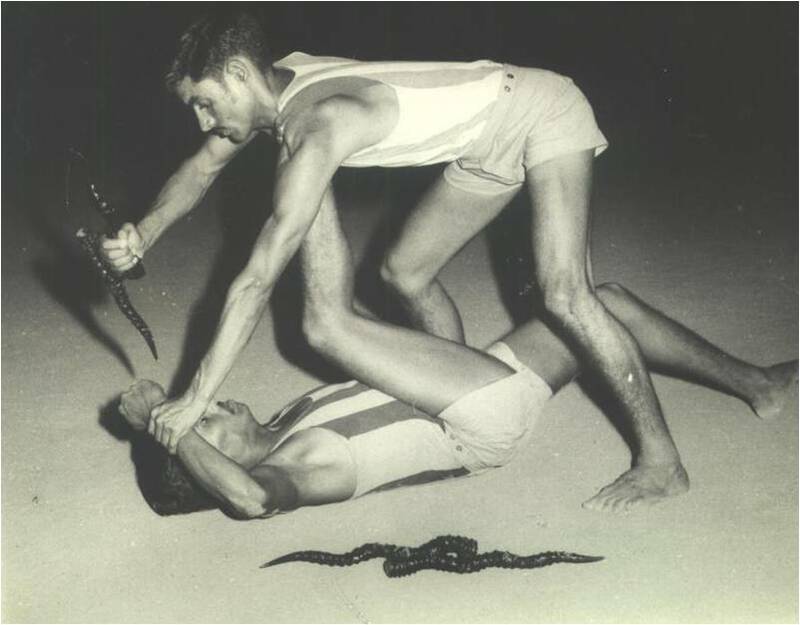 Wrestling is an ancient sports activity. The various beneficial for a wrestler is presented in a form of a drill. A well known weapon from ancient times used in war. 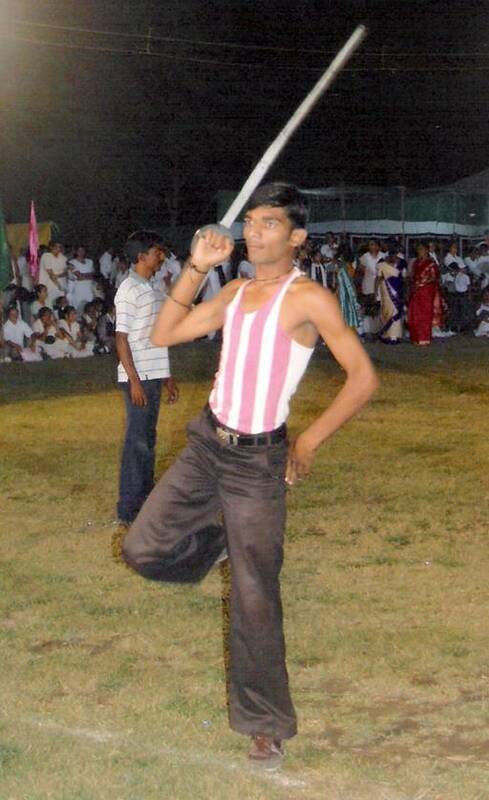 The skill using talwar is displayed in front of you. Dhal talwar was used as a weapon from ancient times 'Dhal' is used for protecting ourself from the attack made by the other fighter with a sword or talwar. Not only men but even women were skilled in this weapon art. Our girl's students might have gave a remembrance to you of the great queens like Laxmibai of Zhashi, Padmawati, Durgawati etc. Yogic postures are practiced intensively in India for maintaining one's health & fitness. There are mainly two type of poses : Meditative & cultural. The first type is used in spiritual practices while other is practiced for physiological benefits. Specialty of these poses is that they are performed with almost relaxation in slow counts without any jerky movements. These exercises are performed in group formation with accompaniment of music. Yoga is useful in developing flexibility, strength & toning up of muscles. It is again an ancient weapon but is bigger in height. Its plate is thin than a sword. Shield is not used along with the Danpatta. The grip of Danpatta is bigger as compare to sword. 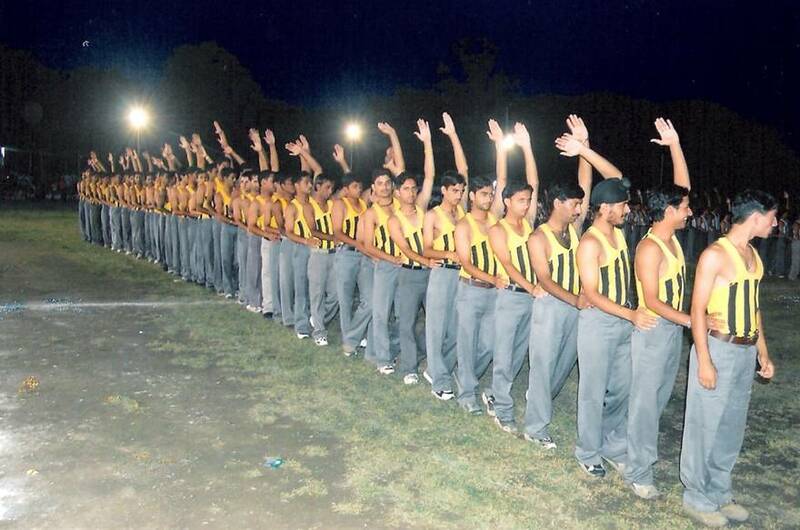 Danpatta skill is shown with both the hands. There is a famous story related to Danpatta - Shiwaji Maharaj's warrior Sardar Bajiprabhu Deshpande alone fought against & stopped the Mughals for two hours in Pawan Khind using Danpatta as a weapon. 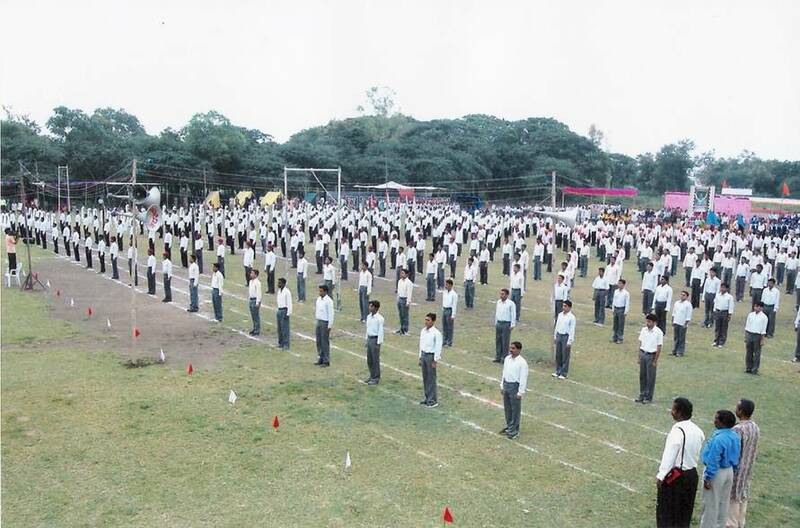 After receiving the fighting skills the students will perform the Danpatta drill in a group showing the different movement required during fighting. Lezim is popular apparatus in Indian Schools. 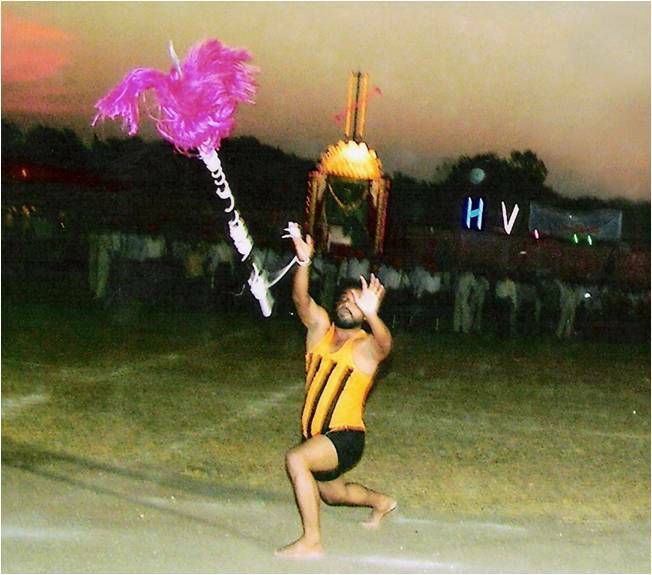 It is an Indian traditional cultural exercise. It is famous in M.S. it is regularly perform in festive events like Ganesh Utsav, Durga Utsav. It is performed in a group in several artistic formations. It gives all-round exercise to body, develop high sense of rhythm & aesthetic sense of body movements. It is an ancient weapon used for hunting. It is made up of the 2 thorns of Dear. It has a grip in middle to hold the weapon and one thorn pointing to right side while other thorn pointing to left side. So while hunting, the hunter can attack in both direction. Our students are also skilled in marshal arts. Thang Ta, Ta-Het-Pa, etc. are performed by students which is a form of Indian Marshall Arts. The main purpose of this art is self defense. It requires great presence of mind, quick reaction, flexibility & body control. 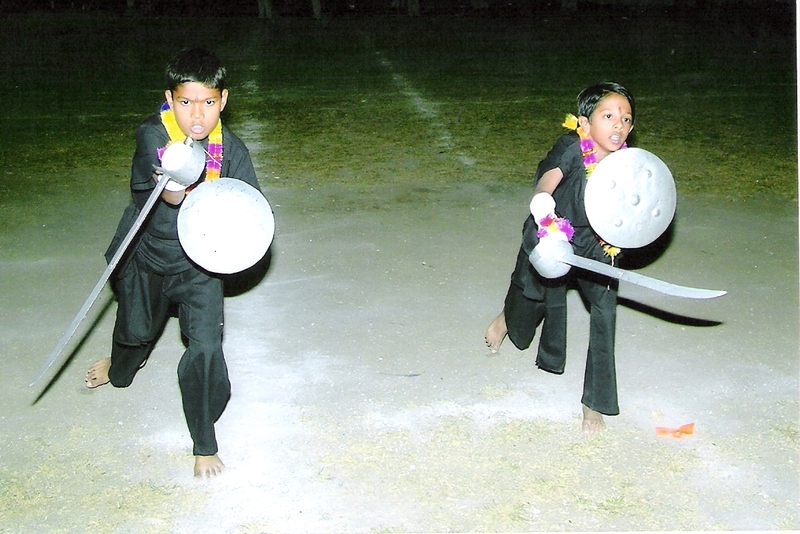 The Mandals students are not only trained in ancient traditional sport but in also modern activities. It involves fast body movement on a specific rhythm. 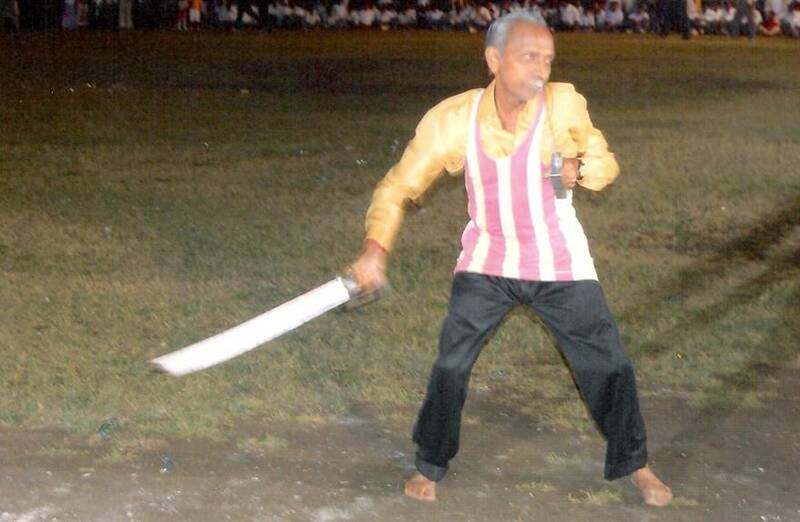 Lathi is one of ancient weapon used for attacking. There can be a group or dual attack. 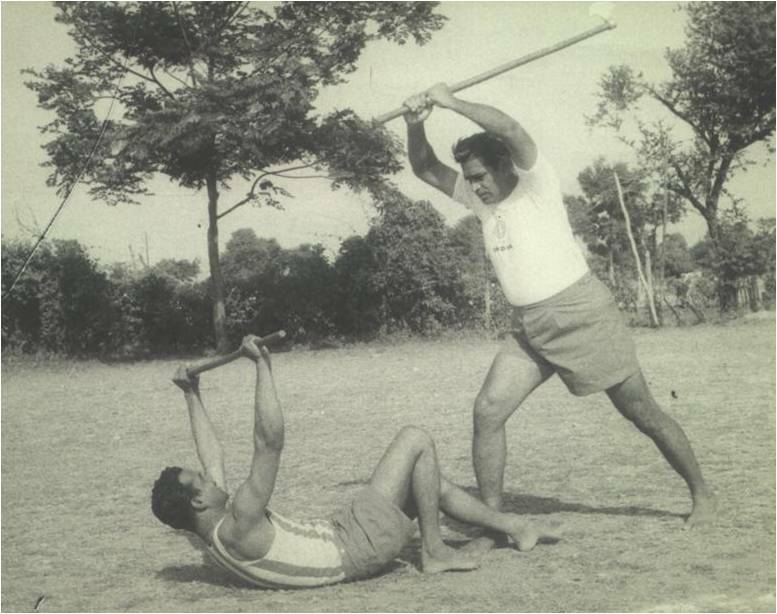 Even single person can show the attacking skill using lathi. "Bandish" & :Halla Fod" are the other type of attacking skills. In Bandish two fighters attacked each other. In "Hall Fod" a single person fights with a group. In 1941, Shree H.V.P.Mandal's team participated in the Lingiad Festival. Team of different nations are present there. Russian team presented the Russian Drill in the event which inspired Mandal to start a start a similar drill. 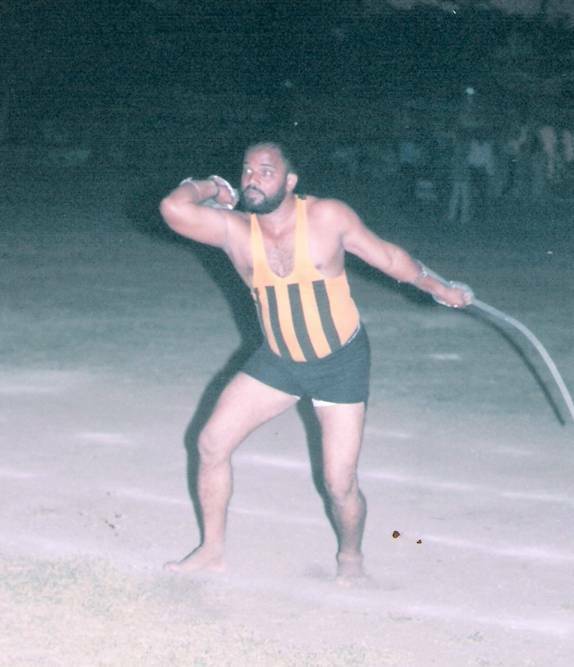 On basis of Indian sports tradition some unique changes was brought to the original drill, but the name was kept constant. It's a synchronized combination of a group. 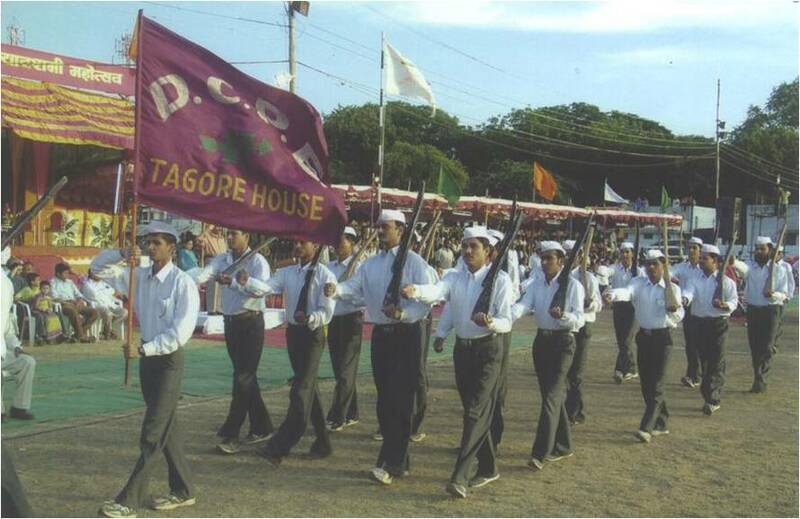 It is presented by girls and boys students in a form of group. A colourful breath taking Maharshtrian folk dance will be presented before you. This Maharashtrian folk dance is acquired by the Mandal's girl student of other statues like Jammu Kashmir, Andaman Nikobar, Assam, Uttaranchal, etc. also this spectacular dance is a way of workshiping all the Goddess. This symbolized National Integration. 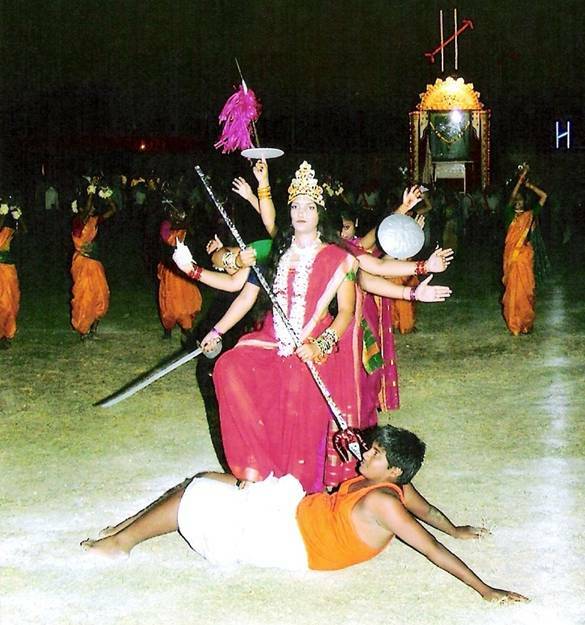 There are no professional in this dance & is choreographed by students & staff of Mandal. It is simple apparatus made of cane shaft with wooden ball at each end. By holding it at its balancing point the apparatus is to be swing fast round the body in sagital as well as frontal plane. Changing of apparatus from one to other hand requires considerable skill. With foot work Baneti can be swung while body is moving. It requires precision, quick foot work, finger dexterity & wrist work with macro muscular co-ordination. It looks attractive by blazing its two ends with fire. 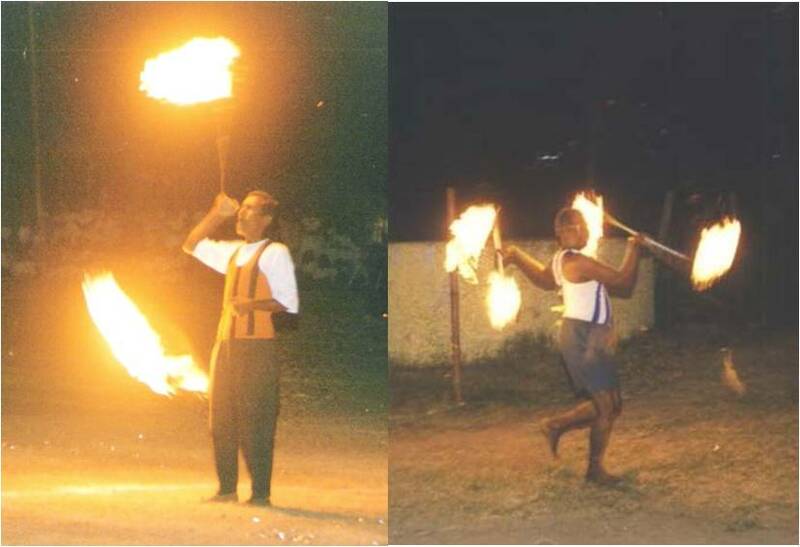 Similar body movements like cane baneti are made using the chain baneti. It is also called as "Karela" or "Indian club". Jodi is a group exercises. It is performed either in simple way or by blazing it with fire. 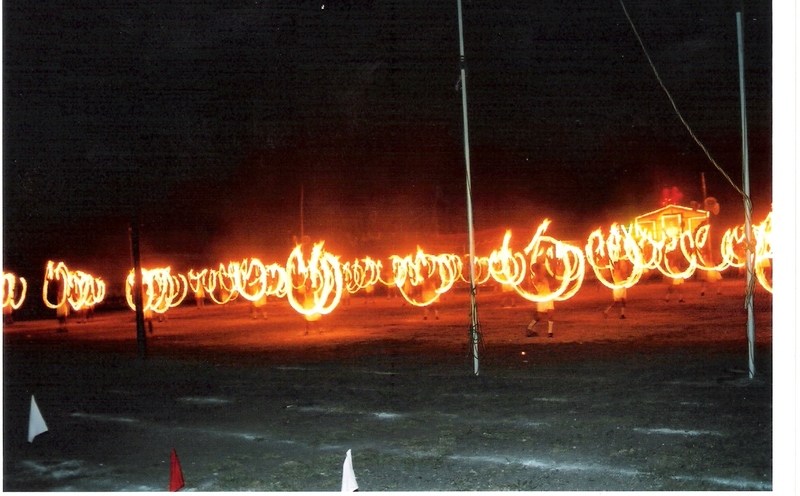 The fire ball at its end looks spectacular while performing in a group. Chatrapati Shiwaji Maharaj lighted the torch to the forms of marshal & left them in Moughal armis stag in order to frighten them & to scatter them. 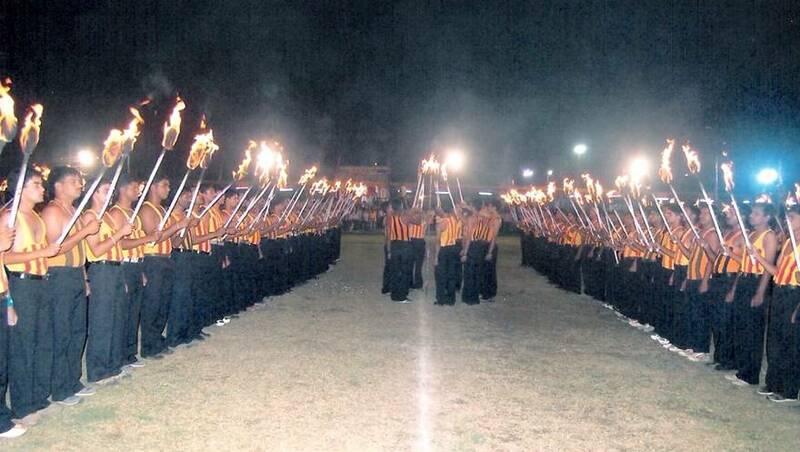 Torches marching is a group activity perform by the student holding torch in one hand & making beautiful formation. At the end, every body is requested to stand at their respective places to respect our National Anthem.